All works are 8.5x11" Ball point pen on illustration board painted in Photoshop. 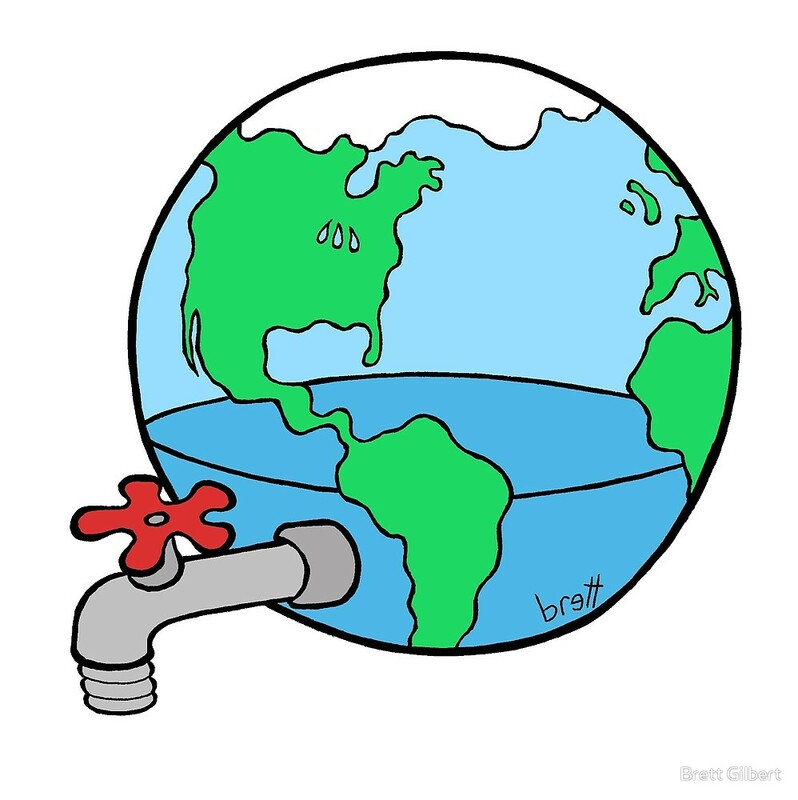 The Water Wars are coming as a direct result of Climate Change and overpopulation. 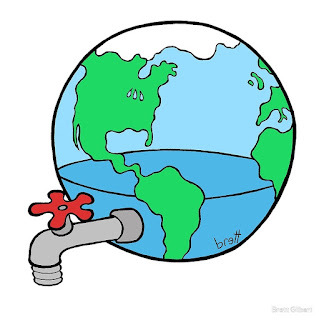 "Water Barons"(billionaires and big banks such as Goldman Sachs and JP Morgan Chase) are buying up aquifers, lakes and utilities all over the world and identifying water as a critical commodity, much hotter than petroleum. In the near future, water will no longer be a right as Water Barons invest heavily in "water scarcity" and "infrastructure privatization". 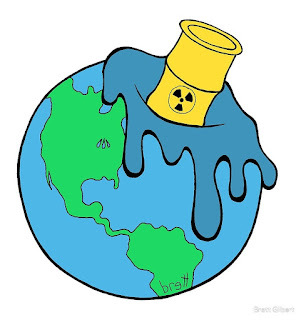 Since the first nuclear reactors were constructed in 1954, there have been over 100 nuclear accidents recorded worldwide. The three biggest are Fukushima Daiichi nuclear disaster (2011), Chernobyl disaster (1986), and Three Mile Island accident (1979). Eleven more core melt downs have occurred in other power plants and eight Soviet Navy nuclear submarines. 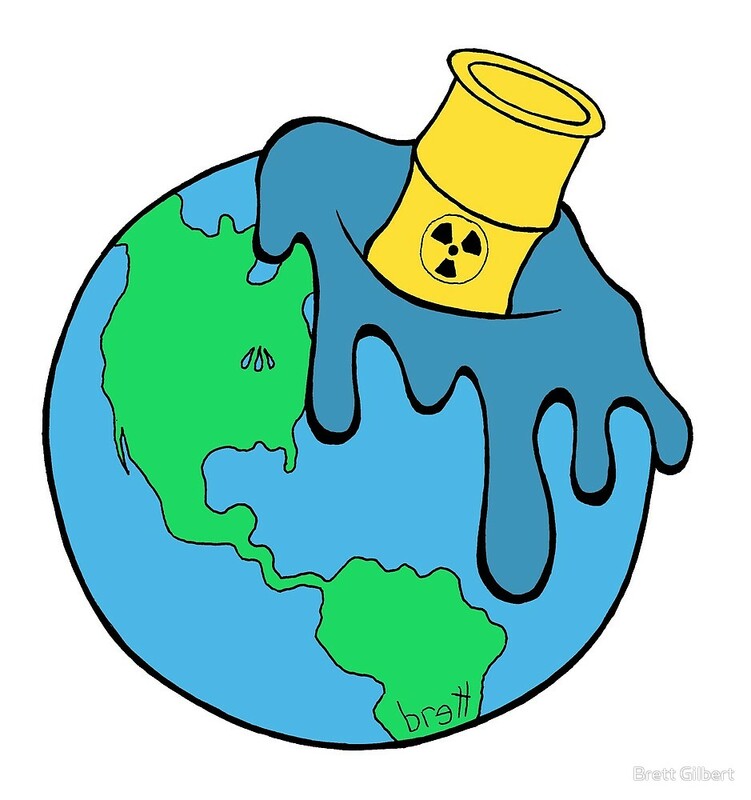 Nuclear power poses numerous threats from environmental damage from uranium mining, processing and transport, to nuclear waste and disastrous core meltdowns - that are not a matter of if... but when. 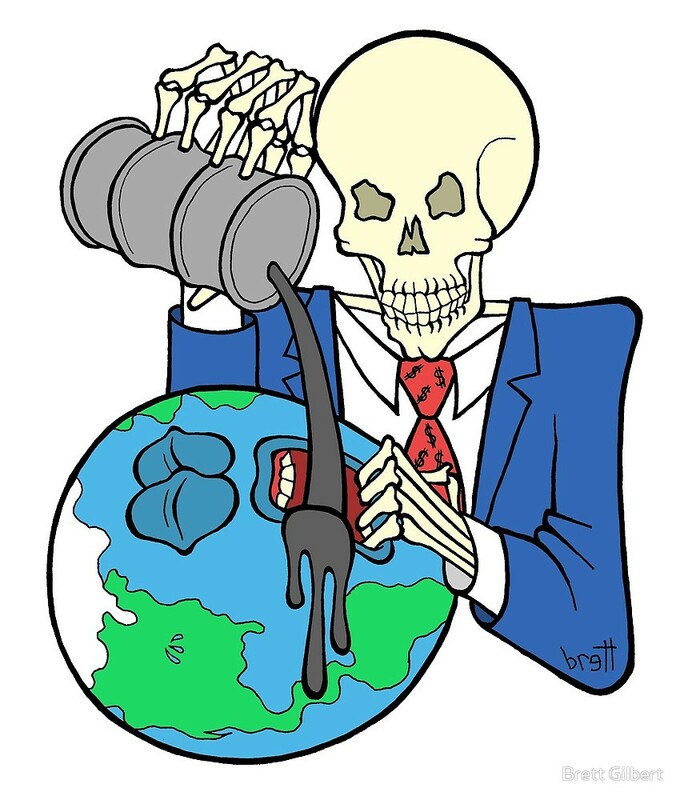 The fossil fuel industry has known they were killing the planet for 4 decades and purposely spread denial and disinformation. Exxon's own senior scientist James Black warned them in 1977, "the manner in which mankind is influencing the global climate is through carbon dioxide release from the burning of fossil fuels." A year later he warned Exxon that doubling CO2 gases in the atmosphere would increase average global temperatures by two or three degrees - which we see has happened. Those with foreknowledge that they are ending all human life and purposely lie for a quarterly profit are a terrifying kind of psychopathic evil. 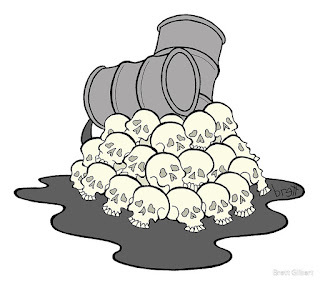 Millions of lives have been lost in wars fought over control of fossil fuels. The Nigerian Civil War, Iran-Iraq War, the Gulf War, the Iraq War, the Yemen War, the Syrian Civil War to name only a few. Even as many are currently raging the Trump administration is leading the charge to start a new Oil War in Venezuela. Politicians, oil executives, and the military industrial complex make billions in profit while civilians bear the cost through bombings, disease, starvation, displacement, illness, poverty, and crimes against humanity. 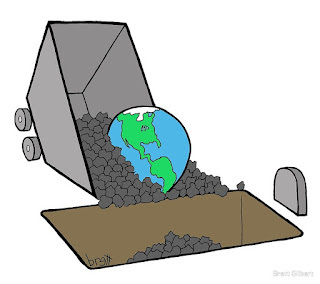 Coal, the dirtiest producer of energy, puts out about twice the amount of carbon dioxide than oil. It is the largest contributor of CO2 into the atmosphere and accounts for 40% of the world's total fossil fuel emissions. There is no such thing as "Clean Coal". The coal industry invested over $40 million dollars in a propaganda blitz to convince the people of this lie. What makes coal even more insidious: Oil and gas reserves are expected to run out in a little over 50 years but coal reserves have been estimated to last another 100 years after that. 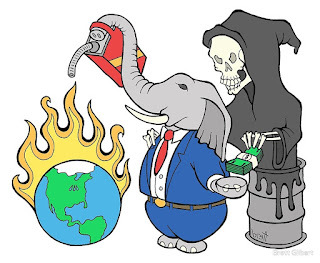 "Denying Climate Change for Greed"
"The Republican Party is the most dangerous organization in human history. The world has never seen an organization more profoundly committed to destroying planet earth and organized human life.” - Noam Chomsky. Republican controlled US senate confirmed Andrew Wheeler, a former coal lobbyist to head the Environmental Protection Agency. In the 2018 midterm election, every single Republican candidate denied climate change is real. From 1946 through 1993, thirteen countries used ocean dumping as a method to dispose of nuclear/radioactive waste. 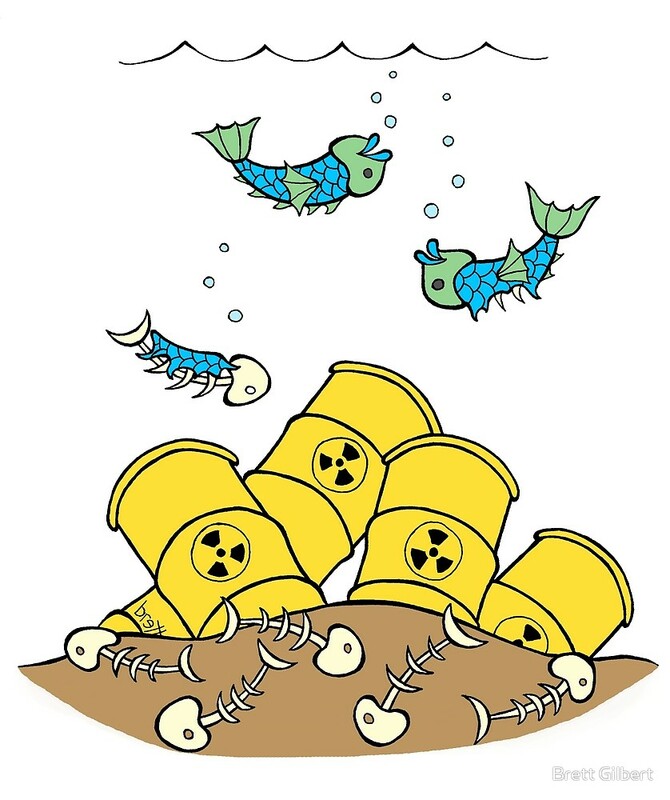 Over 200,000 containers have been dumped, along with 14 nuclear reactors, and 6 nuclear submarines. Since 1993, ocean disposal has been banned by international treaties. However, according to the United Nations, some companies are still, to this day, dumping radioactive waste and other hazardous materials into the coastal waters of Somalia. 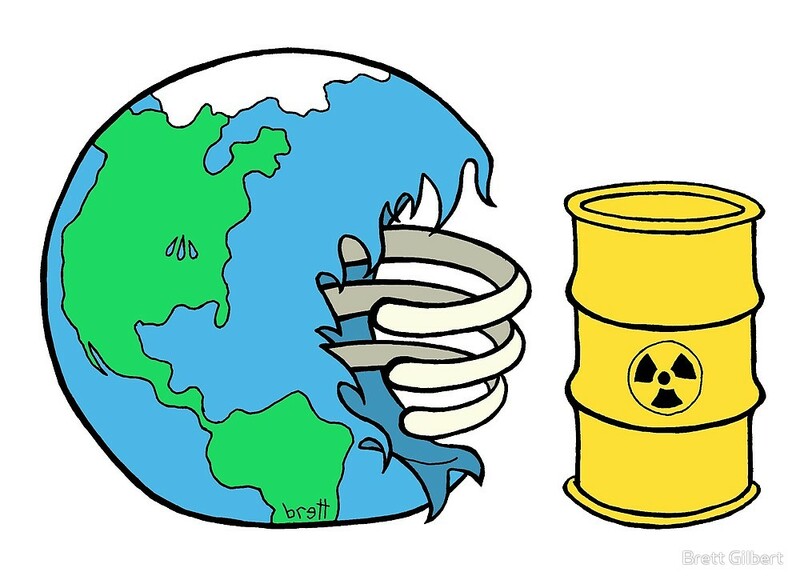 Nuclear waste is just one of the dilemas to nuclear power. 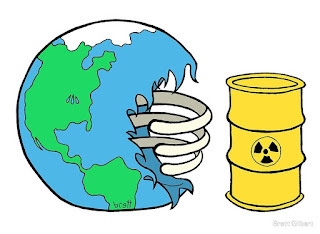 Nuclear waste remains radioactive for 100,000 years. Ocean dumping used to be the method of disposal but has since been banned by international treaties in 1993. So what do we do with it? 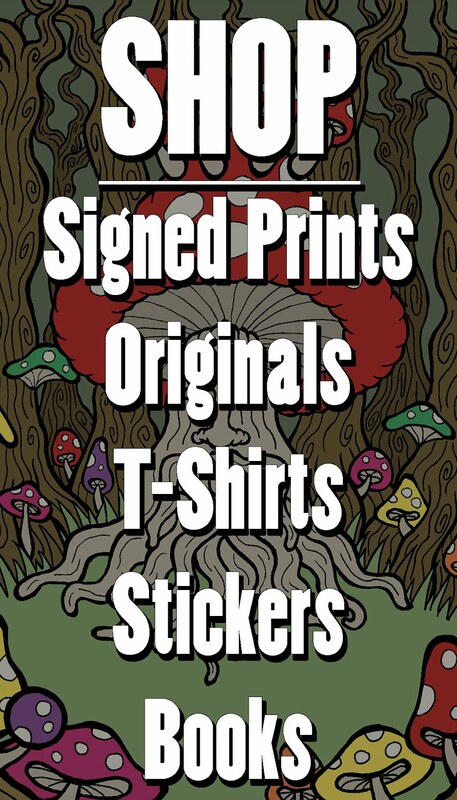 Where to store it for 100,000 years? How safe is the storage from earthquakes and leaking? For perspective, 100,000 years ago neanderthals walked the earth. In just 50 years will those storage facilities still be safe and free from erosion or natural disasters? By 2030 the Arctic will have completely melted. 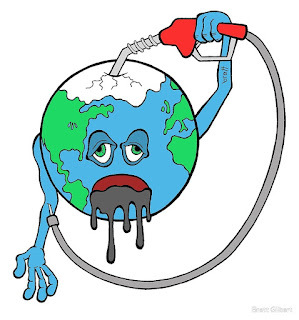 Oil Companies are already planning on drilling all those untapped reserves - speeding up human extinction.